In this project, we are exploring efficient compression and streaming solutions to deliver 360 video contents for VR/AR applications. We prototype a novel two-tier system to encode and stream 360 degree videos, to simultaneously improve the bandwidth utilization and handle the network dynamics and user viewing direction variations more efficiently. The base tier (BT) video chunks represent the entire 360 view span at a low bit rate and are pre-fetched in a long display buffer to smooth the network jitters effectively. The enhancement tier (ET) video chunks represent the full 360 view span using multiple overlapping viewports, coded with different video rates. When users view directions are predicted accurately and ET chunks are received promptly, the client video player can combine the ET chunk with the pre-fetched BT chunk for an enhanced quality of service. Even if the view prediction fails (e.g., due to the unexpected head motion) or when the requested ET chunk does not arrive in time (e.g., due to sudden bandwidth decrease), the client player can still render the desired view with basic quality from the pre-fetched BT. In parallel, we are also investigating the delivery of 360 videos over the next-generation communication technologies (e.g., 5G millimeter wave) through network emulations and examining the user quality of experience. M. E. Knox. “Passive Interference Cancellation in a 2×2 STAR MIMO Antenna Network”. IEEE International Workshop on AntennaTechnology (iWAT) 2019, Recipient of Best Paper/Post award. M. Knox, “Passive Interference Cancellation in a 2×2 STAR MIMO Antenna Network,” IEEE International Workshop on Antenna Technology (iWAT), March 2019. S. Shahsavari, F. Shirani, and E. Erkip, “Opportunistic temporal fair scheduling for non-orthogonal multiple access,” IEEE 56th Allerton Conference on Communication, Control, and Computing, 2018. Chenge Li, Gregory Dobler, Yilin Song, Xin Feng, Yao Wang “TrackNet: TrackNet: Simultaneous Detection and Tracking of Multiple Objects”. I. K. Jain, R. Kumar, S. Panwar, “Driven by Capacity or Blockage? A Millimeter Wave Blockage Analysis,” IEEE ITC30, Sep. 2018. I. K. Jain, R. Kumar, S. Panwar, “Can Millimeter Wave Cellular Systems provide High Reliability and Low Latency? An analysis of the impact of Mobile Blockers,” e-print in arXiv.org:1807.04388, Jul. 2018. P. Hassanzadeh, A. Tulino, J. Llorca, E. Erkip, “On Coding for Cache-Aided Delivery of Dynamic Correlated Content,” in IEEE Journal on Special Areas in Communications, June 2018. Q. Yang, P. Hassanzadeh, D. Gündüz, E. Erkip, “Centralized Caching and Delivery of Correlated Contents over a Gaussian Broadcast Channel,” in Proceedings of IEEE International Symposium on Modeling and Optimization in Mobile, Ad Hoc, and Wireless Networks (WiOpt), May 2018.
in the Proceedings of IFIP Networking 2018 Conference, May 2018. N. V. Shende, Ö. Gürbüz and E. Erkip, “Half-Duplex or Full-Duplex Communications: Degrees of Freedom Analysis Under Self-Interference,” in IEEE Transactions on Wireless Communications, vol. 17, no. 2, pp. 1081-1093, Feb. 2018. S. Shahsavari, A. Hosseini, C. Ng, E. Erkip, “Adaptive hybrid beamforming with massive phased arrays in macro-cellular networks,” IEEE 5G World Forum, 2018. R. Kumar, R. Margolies, R. Jana, Y. Liu, S. Panwar, “WiLiTV: Reducing Live Satellite TV Costs using Wireless Relays”, in IEEE Journal on Selected Areas in Communications, February, 2018. R. Kumar, A. Francini, S. Panwar, and S. Sharma, “Dynamic Control of RLC Buffer Size for Latency Minimization in Mobile RAN,” in Proc. of IEEE WCNC, Apr. 2018. P. Hassanzadeh, A. Tulino, J. Llorca, E. Erkip, “Broadcast Caching Networks with Two Receivers and Multiple Correlated Sources,” in Proceedings of IEEE Asilomar Conference on Signals, Systems and Computers (Asilomar), October 2017. Bo Yan, Shu Shi, Yong Liu, Weizhe Yuan, Haoqin He, Rittwik Jana, Yang Xu, and H.Jonathan Chao, “LiveJack: Integrating CDNs and Edge Clouds for Live Content Broadcasting”, in the Proceedings of ACM Multimedia, October 2017. M. Polese, M. Giordani, M. Mezzavilla, S. Rangan, M. Zorzi, “Improved Handover Through Dual Connectivity in 5G mmWave Mobile Networks,” in IEEE Journal on Selected Areas in Communications, vol.PP, no.99, pp.1-1, June 2017. R. Ford, S. Rangan, E. Mellios, D. Kong and A. Nix, “Markov Channel-Based Performance Analysis for Millimeter Wave Mobile Networks,” 2017 IEEE Wireless Communications and Networking Conference (WCNC), San Francisco, CA, 2017, pp. 1-6. P. Hassanzadeh, A. Tulino, J. Llorca, E. Erkip “Rate-Memory Trade-off for the Two-User Broadcast Caching Network with Correlated Sources”, in Proc. IEEE International Symposium Information Theory (ISIT), June 2017. 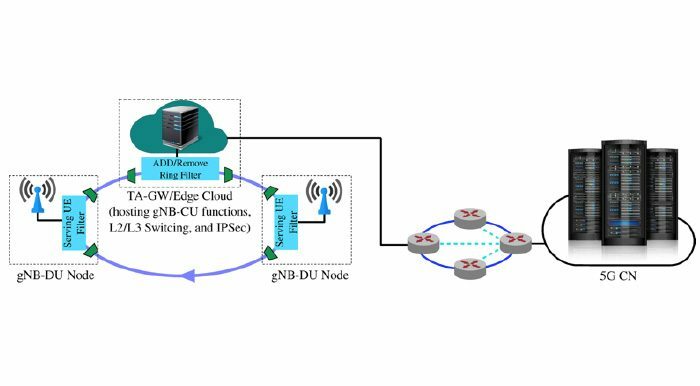 Z. Cao, S. Panwar, M. Kodialam, T. Lakshman, “Enhancing Mobile Networks With Software Defined Networking and Cloud Computing,” in IEEE/ACM Transactions on Networking , vol.PP, no.99, pp.1-14. M. Polese, R. Jana, M. Zorzi, “TCP in 5G mmWave Networks: Link Level Retransmissions and MP-TCP,” to be presented at 2017 IEEE Conference on Computer Communications Workshops (INFOCOM WKSHPS), Atlanta, USA, May 2017. S. Goyal, P. Liu, and S. Panwar. “Scheduling and power allocation in self-backhauled full duplex small cells.” 2017 IEEE International Conference on Communications (ICC). IEEE, 2017. R. Ford, A. Sridharan, R. Margolies, R. Jana, S. Rangan “Provisioning Low Latency, Resilient Mobile Edge Clouds for 5G” arXiv:1703.10915 [cs.NI]. R. Ford, M. Zhang, M. Mezzavilla, S. Dutta, S. Rangan and M. Zorzi, “Achieving Ultra-Low Latency in 5G Millimeter Wave Cellular Networks,” in IEEE Communications Magazine, vol. 55, no. 3, pp. 196-203, March 2017. F. Fund, S. Shahsavari, S. S. Panwar, E. Erkip, S. Rangan, “Resource Sharing Among mmWave Cellular Service Providers in a Vertically Differentiated Duopoly,” France, 2017, pp. 1-7. 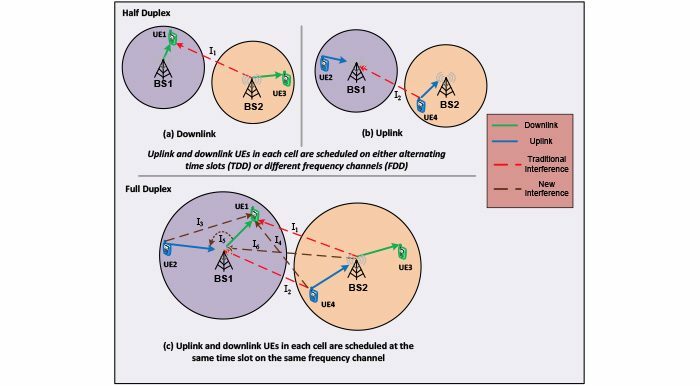 F. Fund, S. Shahsavari, S. Panwar, E. Erkip, S. Rangan, “Resource sharing among mmWave cellular service providers in a vertically differentiated duopoly,” in Proceedings of International Conference on Communications (ICC), Next Generation Networking and Internet Symposium, 2017.
with Successive Interference Cancellation,” 51st IEEEAsilomar Conference on Signals, Systems, and Computers, 2017. M. Polese, M. Mezzavilla, S. Rangan, M. Zorzi, “Mobility Management for TCP on mmWave Networks”, mmNets 2017. M. Polese, M. Zhang, M. Mezzavilla, J. Zhu, S. Rangan, S. Panwar, M. Zorzi, “A Split TCP Proxy Architecture for 5G mmWave Cellular Systems”, Asilomar 2017. F. Fund, S. Shahsavari, S. S. Panwar, E. Erkip, and S. Rangan, “Do open resources encourage entry into the millimeter wave cellular service market?” in Proceedings of the Eighth Wireless of the Students, by the Students, and for the Students Workshop (S3), New York, NY, Oct. 2016, pp. 12–14. S. Goyal, C. Galiotto, N. Marchetti and S. Panwar (2016). Throughput and Coverage of a Mixed Full and Half Duplex Small Cell Network. Proceedings of the IEEE International Conference on Communications (ICC) 2016, Best Paper Award of ICC 2016. S. Goyal, P. Liu, S. Panwar, R. A. DiFazio, R. Yang, E. Bala, “Full duplex cellular systems: Will doubling interference prevent doubling capacity?” IEEE Communications Magazine, May 2015. T. Lu, Pei Liu, S. Panwar, “Shining a Light into the Darkness: How Cooperative Relay Communication Mitigates Correlated Shadow Fading,” 2015 IEEE 81st Vehicular Technology Conference (VTC Spring). T. Lu, Pei Liu, S. Panwar “How long before I regain my signal,” 2015 49th Conference on Information Sciences and Systems (CISS). Y. Zaki, T. Potsch, J. Chen, T. Ahmad, L. Subramanian “Dissecting Web Latency in Ghana,” ACM Internet Measurement Conference (IMC), 2014. “Cost-aware Mobile Web Browsing,” IEEE Pervasive Computing, September 2012.